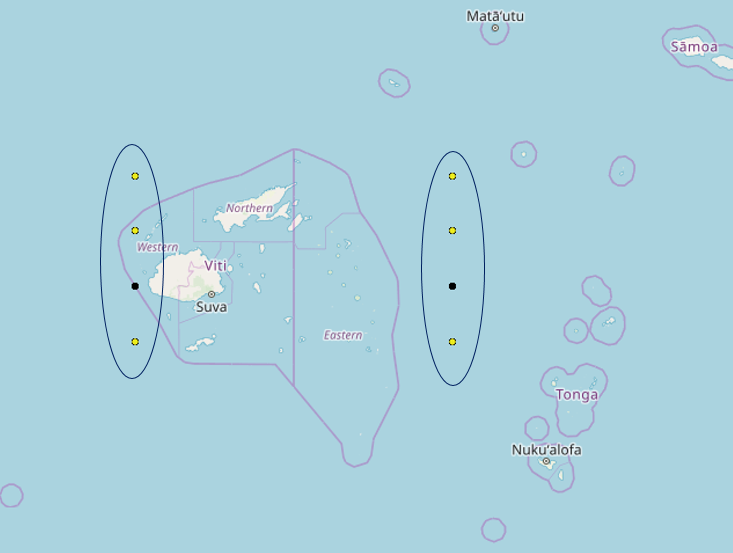 Fiji is a very active region for powerful earthquakes. 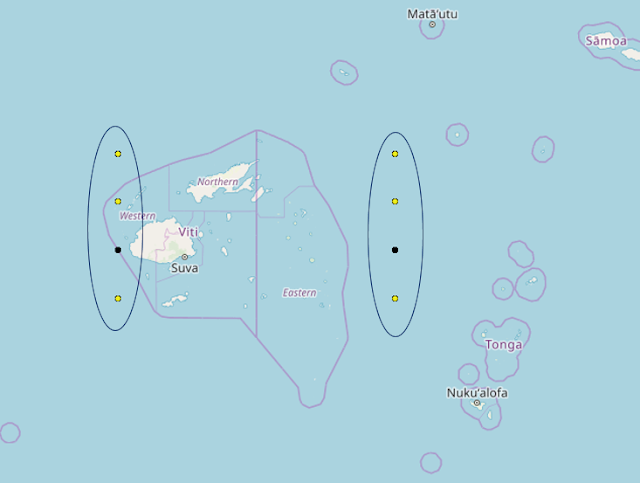 FDL has produced some hits in this part of the world as shown on the map above. Similarly the colour code is Red for 5th Dec., Yellow for 6th December and Black for 7th December.